Margaritas are a quintessential Mexican drink. As our South Texas home is close to the border, Tex-Mex cuisine and cocktails abound. 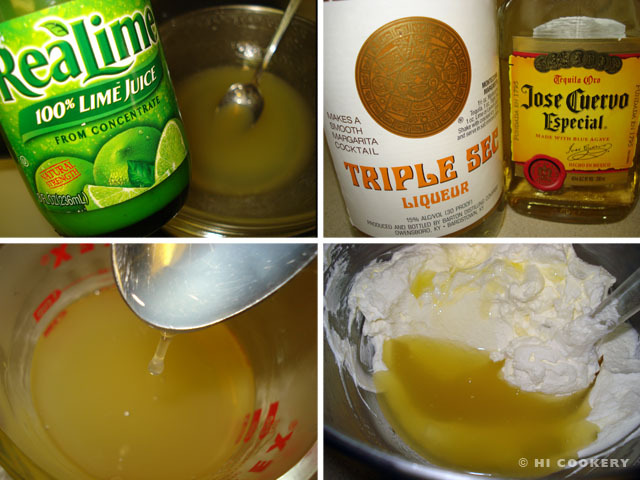 Margaritas are made with tequila, orange liqueur and fresh limes or lemons. The ingredients also make for a potent pie! Instead of traditional salt crystals on a glass rim, we used sugar in whipped cream to balance the tart flavor of this cool and refreshing dessert. 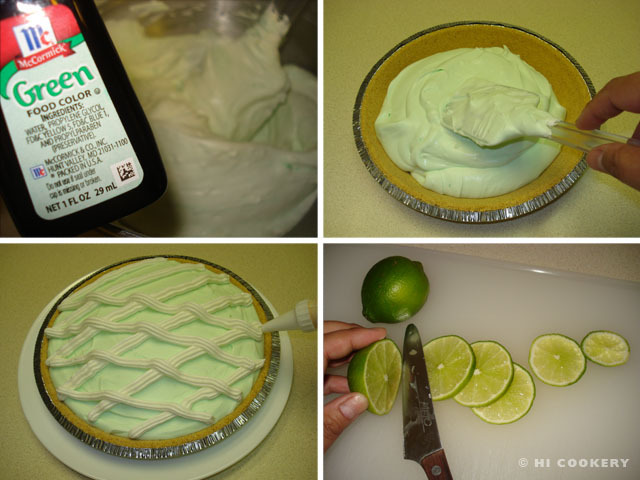 Celebrate National Margarita Day with a creamy cocktail-inspired confection and make margarita pie. Whip the cream until thickened. Gradually add the powdered sugar and whip until stiff peaks form. Refrigerate while preparing the margarita flavoring. In a double boiler (see Notes), dissolve the gelatin in the lime or lemon juice. Stir in the tequila and orange liqueur. Transfer to a bowl and cool in the refrigerator for 30-45 minutes until syrupy but not gelled. 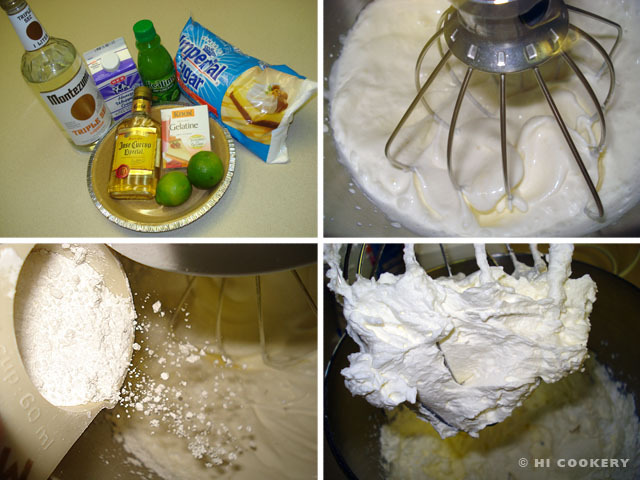 Fold the liquid into the whipped cream. Add a few drops of green food coloring. Smooth into the pie crust. Decorate as desired. Garnish with sliced twists of fresh lime. Serve chilled. Our “double boiler” consisted of a saucepan with boiling water over which a sturdy glass mixing bowl was used to dissolve the gelatin in liquids. We melt our chocolates for other recipes in the same manner. 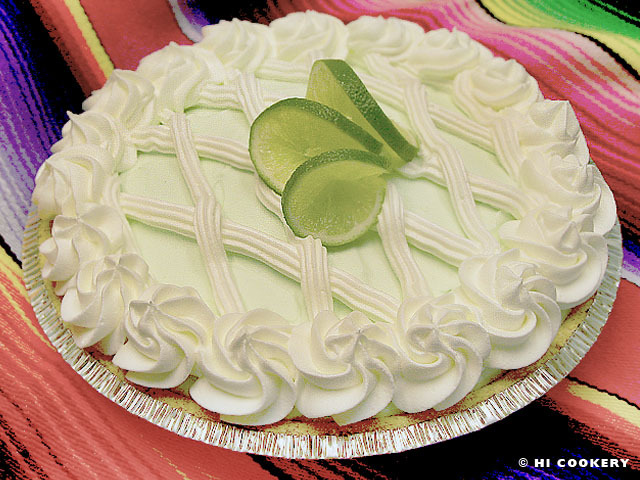 We decorated our margarita pie with whipped cream using various sized star tips in a plastic/pastry bag. Search our blog for more booze-infused dessert recipes.